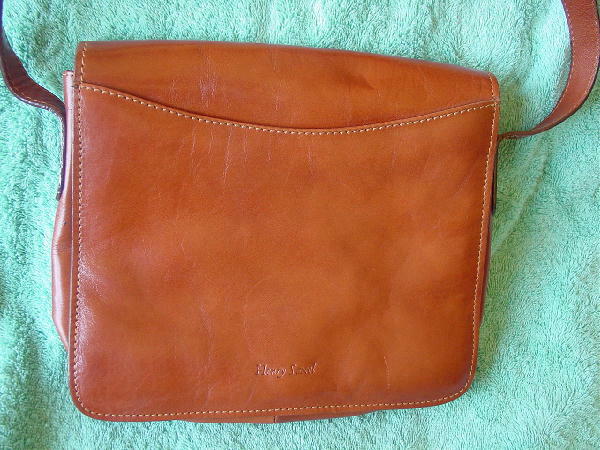 This vintage caramel color leather purse is by Henry Saxel and was made in France. The front flap has a hidden magnetic closure and an outer curved top compartment. 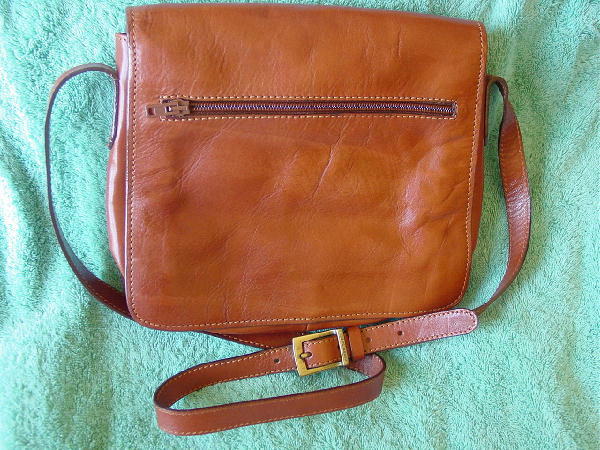 The back has a zippered section with a brown fabric lining. 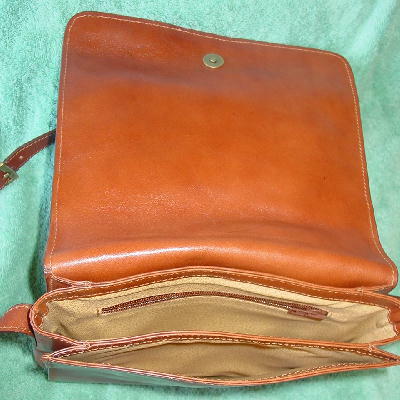 The interior has a large compartment with an interior zippered pocket, also lined in brown fabric. The lining is in a multi-tone yellow leather. The other compartment also has the yellow lining. The leather has some wrinkles and scuff marks and a white line mark on the lower front. It has an adjustable 48" by 3/4" shoulder strap with a brushed brass buckle with Henry Saxel etched on it. It's from a British model.